Perfectly done hair extensions by Toni Salon. Great place in Brooklyn to get your haircare service! 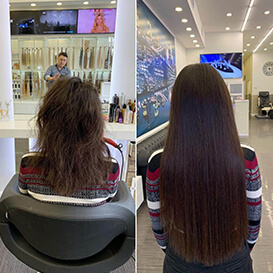 Stylish haircuts in best & luxury Brooklyn Salon. Check our prices and services. 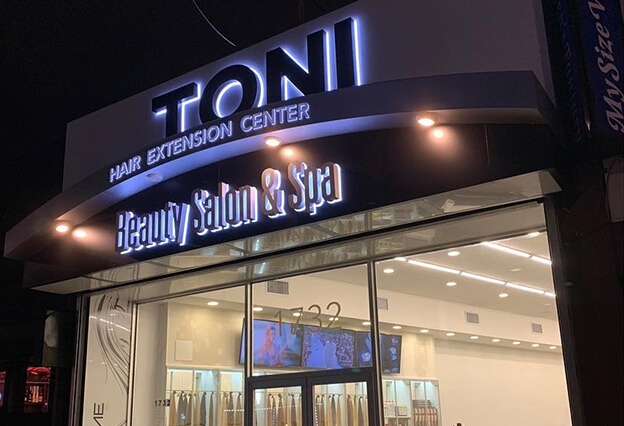 Comfortable & Shine Toni Salon is a perfect spot where the goal is to make your desires come true. 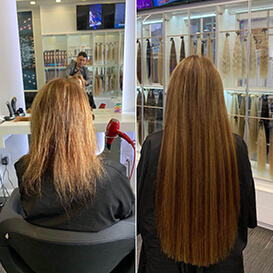 Ranked as one of the best salon in Brooklyn, we offer many kinds of hair extensions for every length and for various types of hair. We’re convinced that everyone is beautiful and we’d be happy to make our clients even more good-looking. High skilled professionals use the most modern techniques and the great brands to make every customer satisfied. You can be sure that all stylists are extremely qualified, which have more than 10 years of experience. It goes without saying that regardless a huge experience, our guys keep improving skills and learning new techniques and trends. The main goal of our masters is to create the perfect image for all clients and make them confident, desired and awesome. Enjoy a comfortable and warm atmosphere of our place! Most of people want to have beautiful and long hair, but it takes so much time to grow and take care of it. 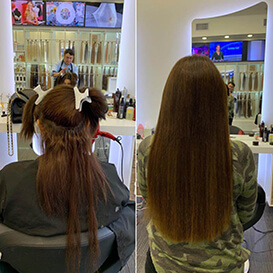 We offer you a great opportunity to gain your desired results at our hair extensions salon. Every stylist has a huge experience in creating beauty! 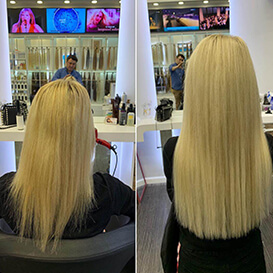 You will have an individual advisement prior to the procedure and definitely get some tips how to take care and maintain your new gorgeous style. The products can be used for all kinds of occasions such as graduation, birthday parties, weddings etc. All clients are encouraged to choose a color and type from super straight to curly. Customers choose our place because of convenience, comfort and extremely affordable prices. Come and check out the great deals today! We offer all kinds of haircuts for every unique style and demand. Whether you want to get a professional hairstyle or simply dedicate time to yourself, our crew is here to make an experience remarkable! It doesn’t matter which style and method you choose, let the experts do their job and make you more attractive. Always dreamed of gorgeous hair and just watched others making your hair coloring ideal come true? Congratulations! You just found a spot where it all will be done in couple of hours. Relaxing & calm atmosphere of salon is exactly what you need to get rest of a busy New York life. Hairstyle is an important element of everyone’s image and we offer so many services to make it charming. 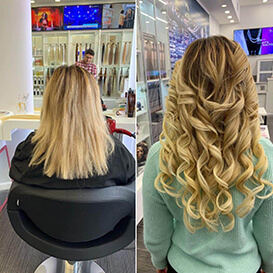 Why people choose our colorists over many others at Sheepshead Bay & whole Brooklyn? Simply because they love what they do and improve their skills on everyday basis. The main advantage of our space is that in every work experts use only natural materials and only newest techniques in a beauty industry. Become a valued customer because you deserve it! Beauty place for amazing people, who wants to get everything of their look & pure style.